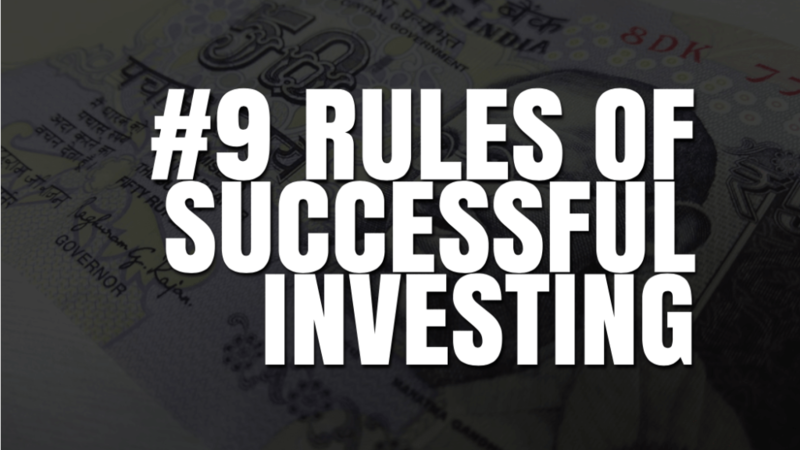 9 Simple Yet Powerful Rules of Successful Investing. Most people who are new to the stock market believes that there is some hidden formula for successful investing that people from a business background or those having an educational qualification in finance/commerce knows. However, the truth is that rules of successful investing are quite elementary and straightforward. In this post, we are going to discuss nine simple yet powerful rules of successful investing to create wealth over time. 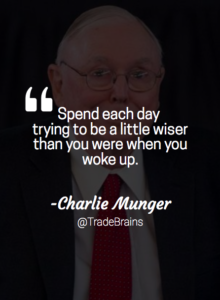 This is the very first rule of successful investing. If you want to create wealth over time, there are two critical factors. First, the return on investment (or ROI) that you’ll be getting on your investments. And second, the time frame for which you’ll be investing. My maximizing the time frame, you can maximize the returns even if your returns are average. Here, the power of compounding is in your favor. Most people start investing in the bull market- when the market is high, the economy is good and everyone is happy. However, when the things turn around (bear market), many of them back out. Either they take everything out of the market or stop investing further. Nevertheless, if you ask any seasoned investor, then you’ll learn that bear market is the best time to invest. This is the period when most of the stocks are trading at a discount. This second rule of successful investing advocates that you need to invest consistently. Maybe, you can wait for some time horizon if the market is high and no stocks are trading at a reasonable valuation. However, it doesn’t mean that you should take a gap of five years and then enter again in the market. If you want to build wealth from the market, you need to invest consistently. Moreover, you also need to increase your investment amount continuously. Investing is a proven strategy to build long-term wealth for a secured future through systematic planning and smart decisions. However, most people do not care about this strategy. They simply want to get a return of two-three times in the next six months and make money fast. If you want to build wealth through stocks, then you need to think long term. Most of the stocks take at least two to three years time frame to give good returns to their shareholders. Moreover, the biggest wealth creators are those stocks which have been in your portfolio for over a decade. In short, thinking long term is the key rule of successful investing and creating wealth. “Do not keep all your eggs in the same basket.” This is the grandpa rule of successful investing. If you invest in just one stock, and it doesn’t perform (due to whatever reason), it can easily destroy your complete wealth. However, if your investment is diversified (5 or more stocks), then the chances of a single stock hurting your entire portfolio is significantly reduced. Although this rule of successfully investing is self-explanatory, however, there is still a portion of investors who ignore this rule. If you are planning to start investing in the stock market, first get rid of your previous debts. Moreover, you should only invest that amount which is surplus. There are various risks associated with the stock market and investing by borrowing money can lead you into a lot of troubles. 6. Invest in what you believe in. There’s a famous quote by Peter Lynch- one of the most successful fund manager and the author of the best-selling book ‘One up on wall street’- ‘Invest in what you know’. This rule of successful investing gives the veto power to the investors. If you do not believe in any stock, then just don’t invest. It takes a lot of willpower to hold the stock when the prices are going down and your portfolio is in red. If you do not believe in a certain stock, it will be the first one to be sold when the prices are going down (no matter how strong/weak are its fundamentals). Therefore, invest in what you believe. First, convince yourself why you want to invest in that stock with reasons and facts. If you truly believe in the future potential of that stock, only then invest. The stock market works on sentiments- GREED & FEAR. In short term, the people sentiments run the market. Therefore, the prices are doomed to fluctuate. There are thousands of factors that run the market- Economy (globally or locally), stock fundamentals, technicals, politics, international relations, government policies etc. And the public reaction on all these factors moves the share price. However, in the long term, the consistent performance of the company will dominate any other factor. Therefore, if the company is fundamentally strong, ignore the short-term price fluctuations and minor setbacks. Frankly speaking, most of the newbie investors ignore the fees and taxes. How much can a 0.5% brokerage can affect their overall return, right? Moreover, why to worry about taxes. It’s a long way down to file the ITR. Remember, you have to pay the brokerage (and many other expenses) on both sides of the transaction, i.e. when you’re buying or selling stocks. 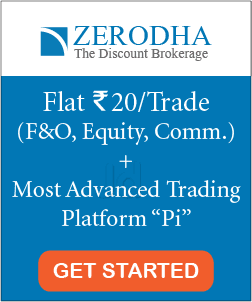 Moreover, even if you’re selling your stock in a loss, still you have to pay the brokerage. Besides, taxes are something which cannot be ignored. If you want to create real wealth over time, always mind this rule of successful investing. Keep an eagle eye on your fees and taxes. 9. Invest what you can, when you can. Even an investment of Rs 500 is good enough to invest. Do not wait for your next bonus or next pay raise to start investing. Always remember that time frame plays an important role in the power of compounding. 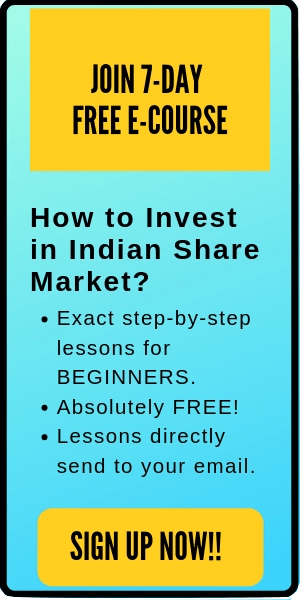 You do not need to start investing only when you have lakhs of money. The easiest ‘hassle-free’ way to build a secure future is to invest what you can and when you can. Next time, whenever you have few spare changes, think about this last rule of successful investing.